Dr. Sedki is an experienced dentist, helping patients improve their smiles for over 15 years. With two locations, Commerce Township MI and Detroit MI, we can schedule an appointment convenient for you. Dr. Sedki has always stayed on top of the latest dental technologies, and is proud to offer Pinhole Gum Rejuvenation, as an incredible treatment for gum recession! Are Your Gums Receding? Our Pinhole Surgical Technique Can Help! The effectiveness of pinhole gum recession is well knows and has been featured all over the news! The Chao Pinhole® Surgical Technique is a minimally invasive option for treating gum recession. Unlike traditional grafting techniques, PST™ is scalpel and suture free. During the Chao Pinhole Surgical Technique™, a needle is used to make a small hole in the patient’s existing gum tissue. Through this pinhole, special instruments are used to gently loosen the gum tissue. These tools help expand and slide the gumline to cover the exposed root structure. 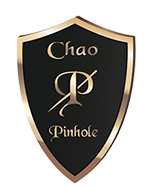 There are no grafts, no sutures, and no incisions needed with the Chao Pinhole Surgical Technique™. It simply involves the adjustment of the existing tissue. Let’s schedule your appointment today! Please contact our Detroit or Commerce MI Dental Office Today! Visit Our Dental Blog to Learn More About Gum Recession!